What is Involved in Sleep Apnea Testing? Sleep apnea and depression sometimes go hand in hand. 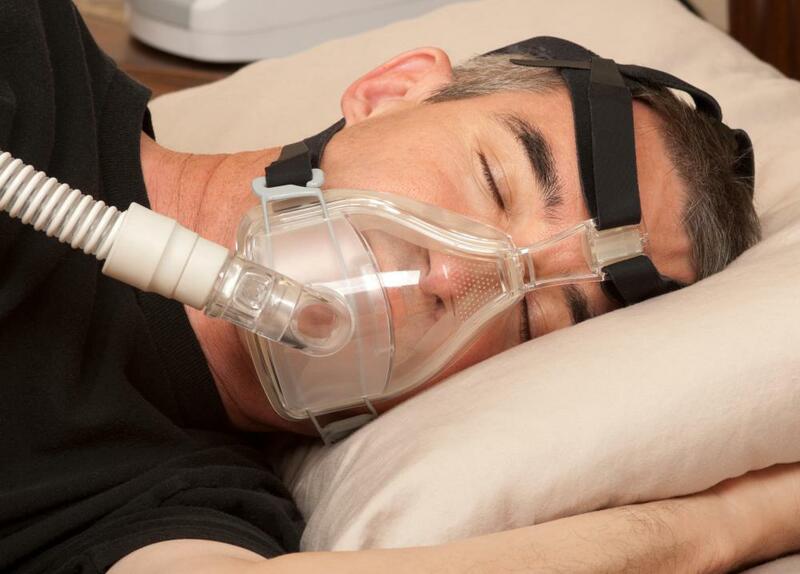 Part of sleep apnea testing involves using a CPAP machine to see if it improves the condition. During sleep apnea testing, a pulse oximeter is put on a patient's finger to measure oxygen levels in the blood. Snoring may be a sign of sleep apnea. Sleep tests and studies are used to devise a regimen so that people with sleep apnea can rest more comfortably. Sleep apnea testing is a type of sleep study used to help physicians diagnose sleep disorders, such as sleep apnea. Sleep apnea testing involves measuring brain activity, eye movement, and oxygen levels in the body while a person is sleeping. Heart rate, respirations, muscle movements, and snoring are also recorded. There are several side effects of sleep apnea including, headaches, high blood pressure, and trouble concentrating. Sleep apnea is also a risk factor for having a heart attack and stroke. Emotional side effects may also occur. Sleep apnea and depression sometimes go hand in hand. It is essential to get an accurate diagnosis through sleep apnea testing so treatment can start. A sleep technician or respiratory therapist will usually perform a sleep study at a sleep lab. Most tests are done in the evening, which are normal sleeping hours for the patient. Patients who work nights and sleep in the day can do a daytime sleep study. Sleep apnea testing takes about eight hours, although not all of that time will be spent sleeping. The technician will connect the patient to various types of sleep apnea equipment to perform the test. Sleep apnea testing starts by placing electrodes on the patient’s head to record brain activity and eye movement. A belt will be placed around the patient’s chest to measure breathing. 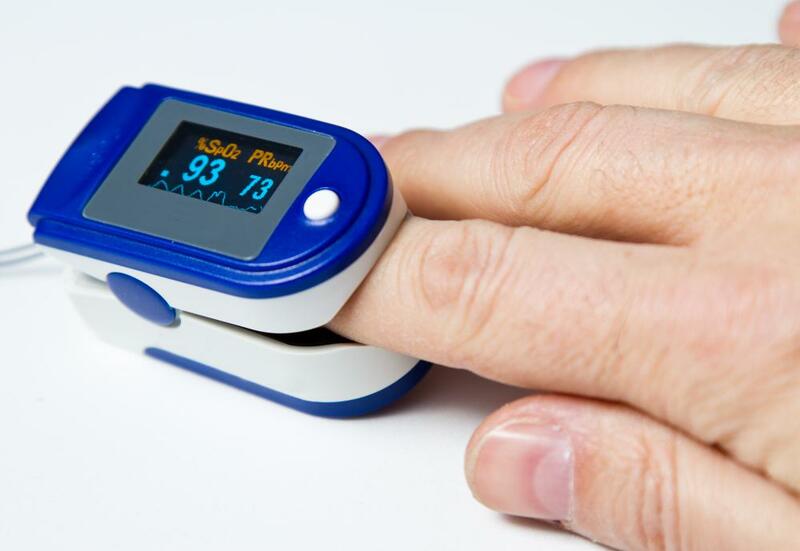 A pulse oximeter is put on the finger to measure oxygen levels in the blood. The technician will ask the patient to breathe in and out, blink, and wave his arms to be sure the equipment is working correctly. After the equipment check, the patient will go into a private room with a bed. The sleep technician will watch the patient from a monitor in the control room, where stages of sleep will be recorded. The technician will also look for signs of sleep apnea, such as snoring, and no airflow moving in and out of the nose or mouth. Oxygen saturation levels that drop will also be noted. All data will be recorded and analyzed after the sleep apnea testing is completed. In some cases, split-night sleep apnea testing is completed. This involves the first half of the night testing for sleep apnea. The later half of the sleep study is spent using a CPAP machine to determine if it helps the sleep apnea. CPAP is a type of sleep apnea device that uses continuous positive airway pressure to keep the airway open. It is often used to treat obstructive sleep apnea. How Do I Prepare for a Night in a Sleep Lab? What Is the Connection between Headaches and Sleep Apnea? What Is a Sleep Apnea Screening? What is Considered a Normal Sleeping Heart Rate? How is a Sleep Apnea Diagnosis Made? What is the Connection Between Sleep Apnea and Weight?